Tom and Melissa celebrated their wedding on a gorgeous, sunny day in July. 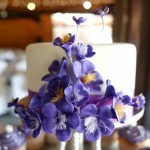 They chose cupcakes and a cutting cake to be displayed on one of the most fantastic cake stands I have ever seen! 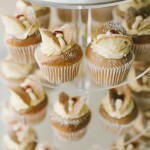 I was delighted with how the cupcakes looked on the stand and so excited for the bride and groom to see the final result. The cutting cake was dark chocolate mud cake covered with rolled white chocolate fondant. Tom’s aunt supplied beautiful fresh roses for the top of the cake, which perfectly complemented a pair of wooden lovebird cake toppers. 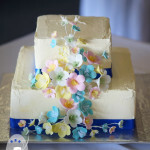 Dark chocolate mud cutting cake with white chocolate fondant, beautiful fresh roses and wooden lovebird cake toppers | Bonnie’s Cakes & Kandies, Gympie. 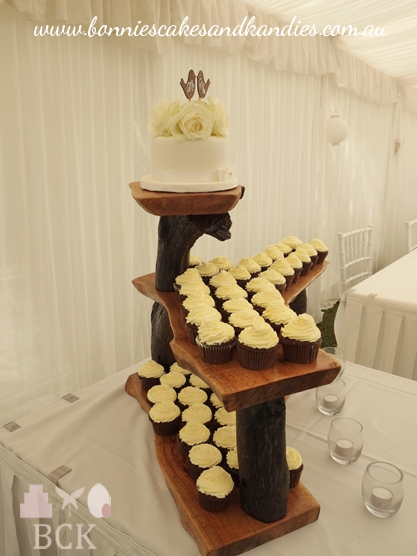 Chocolate cupcakes with white chocolate buttercream icing were arranged underneath the cutting cake on a rustic, wooden stand. 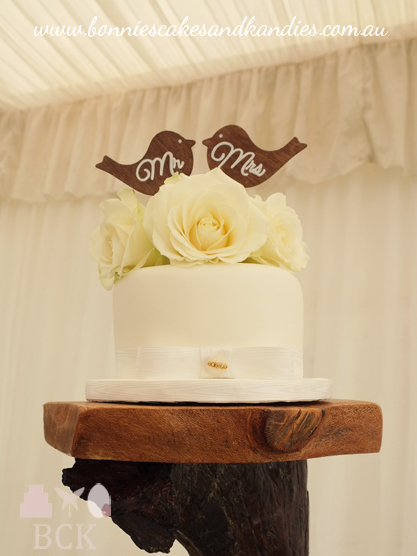 This amazing stand was hand made especially for the happy couple, by their friend Danny Hawkins. What a work of art! 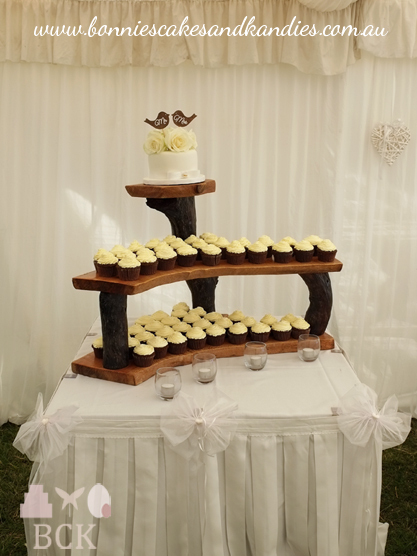 Chocolate cupcakes with white chocolate buttercream icing, arranged underneath a dark chocolate mud cutting cake on a beautiful, rustic timber stand | Bonnie’s Cakes & Kandies, Gympie. 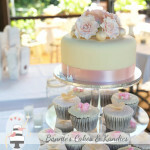 Another view of Tom & Melissa’s cupcakes and cutting cake on the timber stand | Bonnie’s Cakes & Kandies, Gympie. 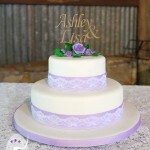 Perfect weather, a marvellous cake stand, and a beautiful couple – thank you Tom & Melissa for choosing Bonnie’s Cakes & Kandies to make your wedding cake and cupcakes! My best wishes to you for a wonderful life together!